Simon and I took our first spontaneous detour from our original travel itinerary to the city of Luoyang, home to the famous Longmen Caves. 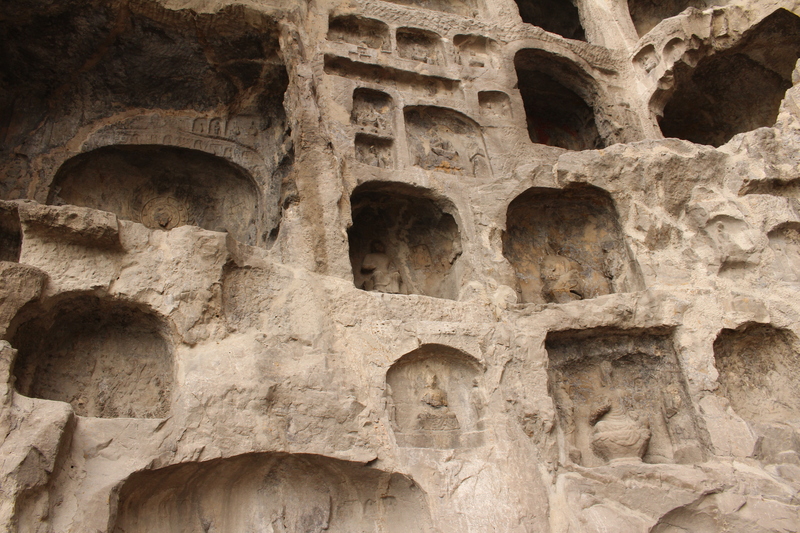 The sight of over a thousand caves on Mount Longmen is something otherworldly. 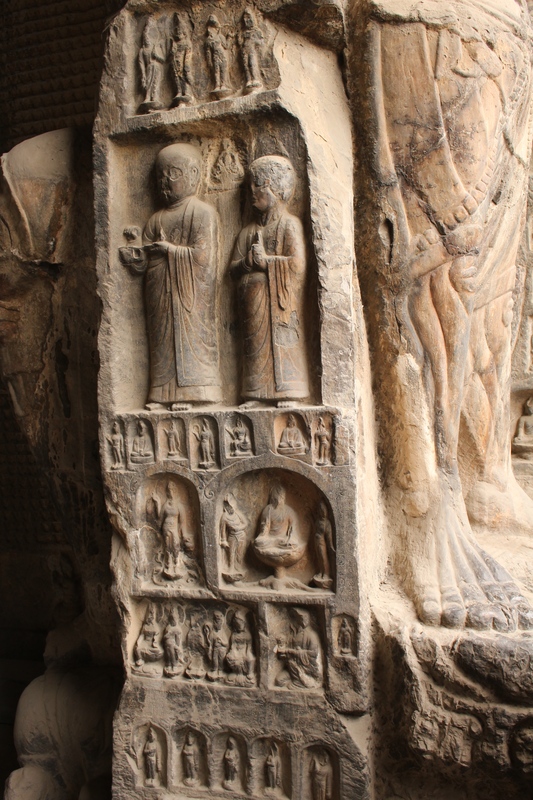 You can’t help but feel transported back in time to one of China’s earliest dynasties, when the carvings first began and would continue for several hundred years. 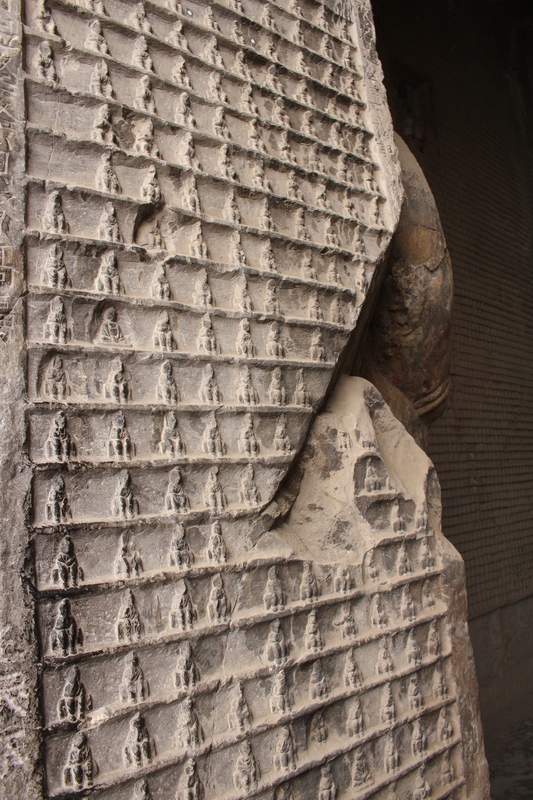 These religious reliefs were commissioned by emperors, members of the imperial family and the like, who all hoped the carvings would bring them prosperity and good fortune. 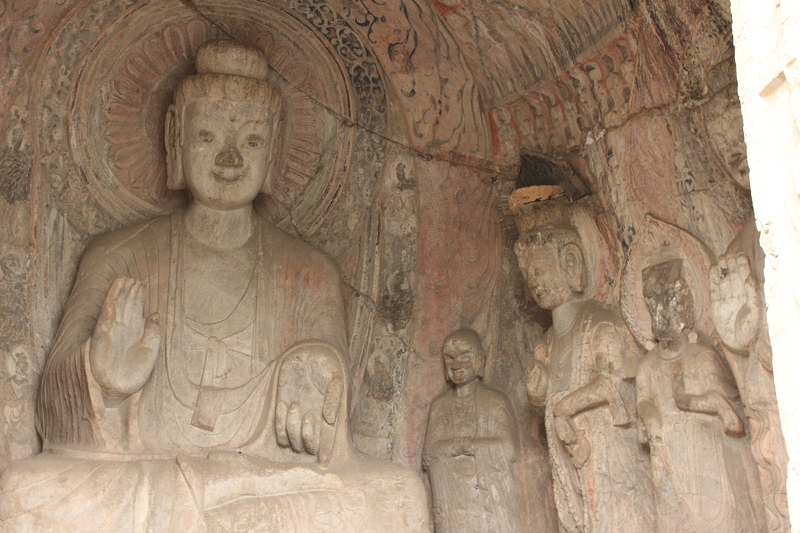 The carvings range in size from the tiniest of tiny to towering intimidating heights, and there are over 100,000 such carvings all throughout Mount Longmen. The caves have seen better days, as vandalism and natural elements have not been kind to them. Thanks to restoration work, some of these magnificent carvings have been restored close to their former glory. Simon and I went early in the morning to beat the crowd, and even though the weather was cold and drizzly, it did not chase away the droves of tourists who were already there when we arrived. 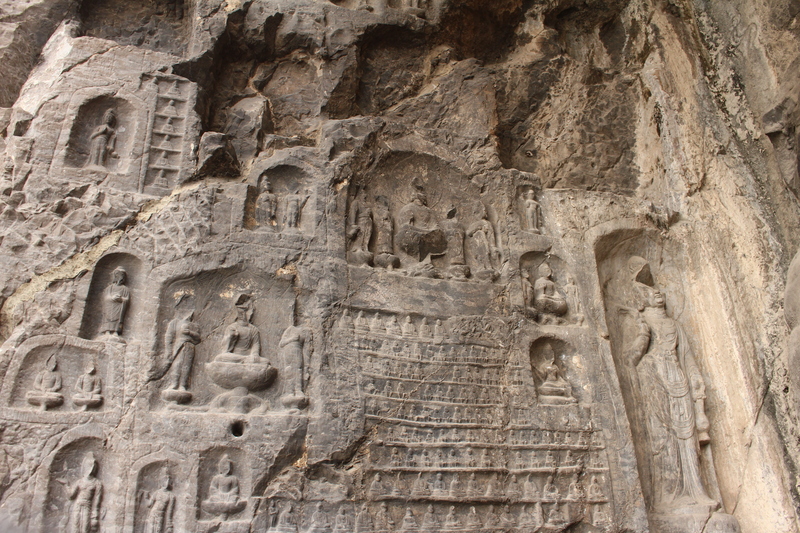 Still, we managed to find a couple of caves all to ourselves where we could really admire and study the carvings at a leisurely pace. Cave after cave, the carvings never ceased to astound us with their sheer volume, varying sizes, intricate detail, and ancient beauty. 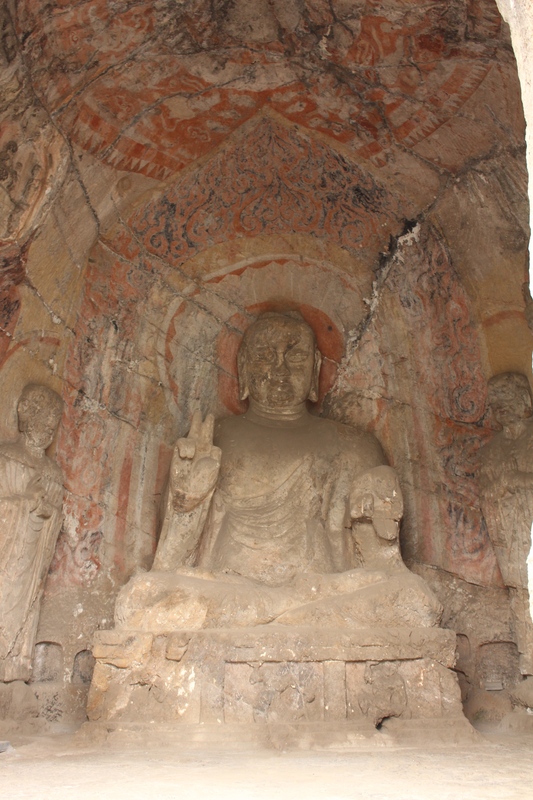 Whether it was the expansive reliefs comprised of endless miniature carvings or the giant Vairocana Buddha seated in an equally giant lotus throne, staring into the depths of those caves was a mystical experience like no other.